This is amazing! 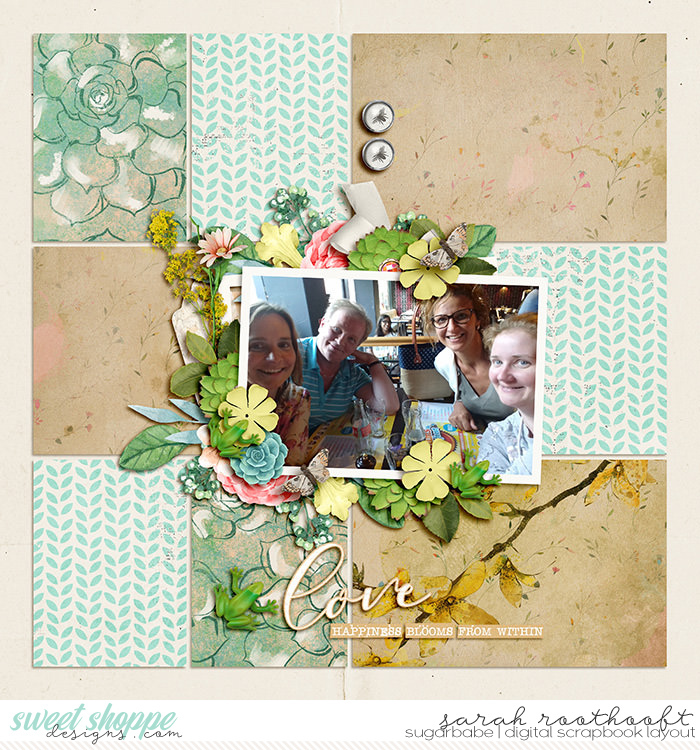 I love the blocked design and the photo and the clusters in the center are gorgeous. Great page! This is a beautiful design I really like how you used her kit. I love how you used the same pp for your background. The look is really cohesive. I am loving the color combo here, Sara! So neat! Love your blocking of the different pattern papers on the background! Love your beautiful clusters around the photo! oh I love the simple paper choices in your background all combined together like that! This is lovely! Amazing clustering under the photo and great use of the soft patterns on the papers. Beautiful layout! Well, all is great here too!lol! Love yours clusters with amazing mix of pattern paper and your choose of colors, just perfect for this picture and a feeling of hapiness!